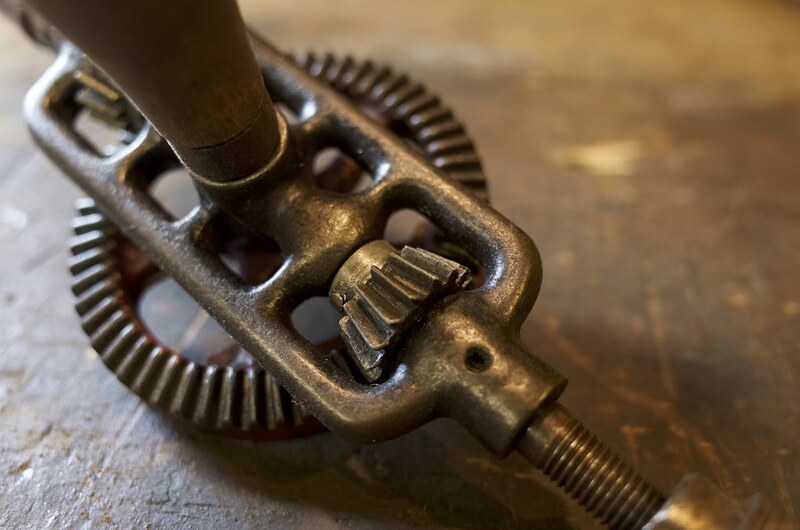 This article provides an overview of across the board issues and ailments that plague second hand gear drills. 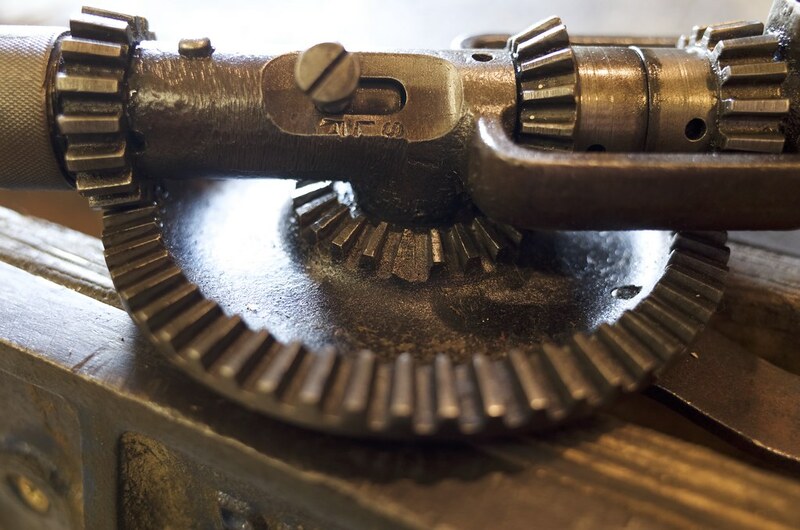 It will not cover makes and models of gear drill that were low quality from the start and will limit discussion on design flaws to those related to the longevity of the tool, for example failure of materials. Bear in mind this is not all possible ailments, just the most common. 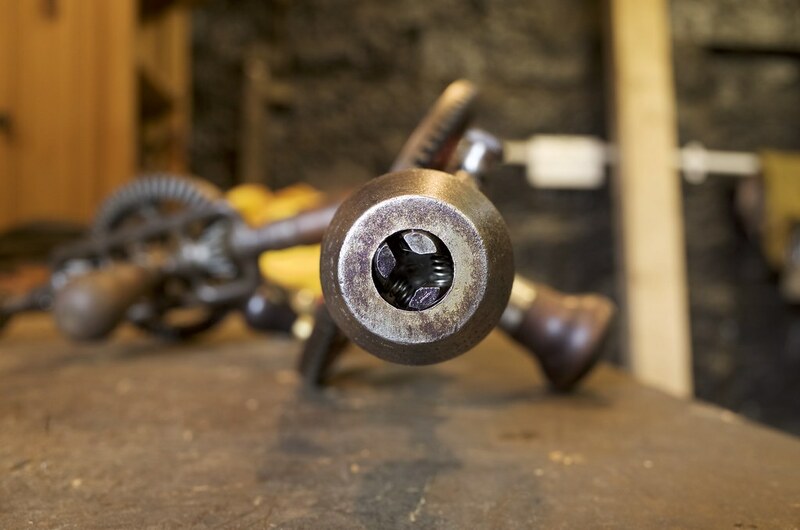 The First thing to do is to give the handle a turn, you can tell a lot from how smoothly the mechanism runs. 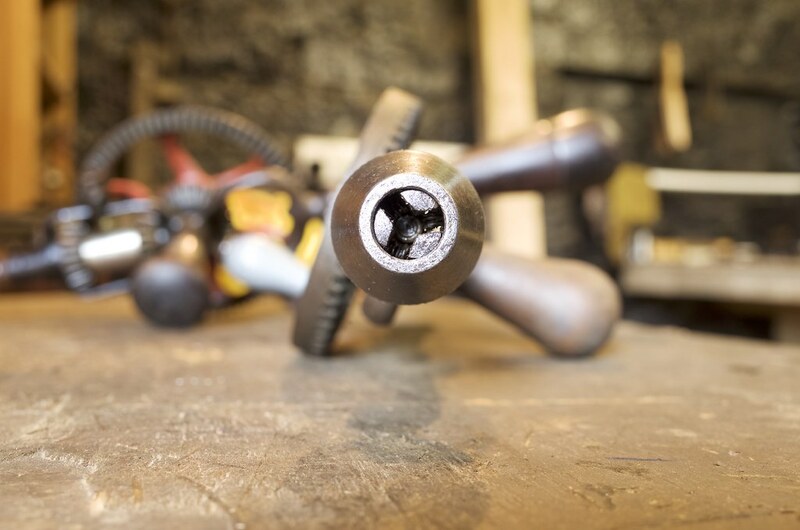 Take into account dirt as this usually can be easily removed, rust to is also rarely an issue unless its very severe. 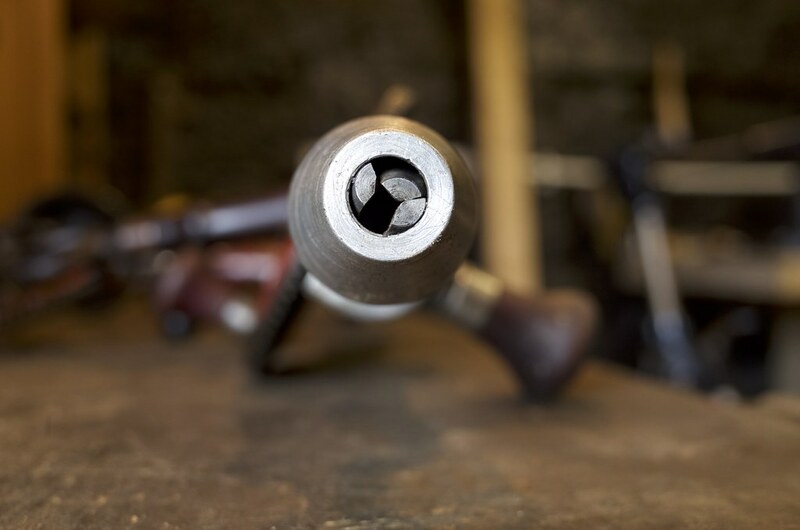 It is common for the springs in standard spring chucks to be bent, damaged or missing. Check this by seeing if all the jaws line and open up as they should, it is quite obvious when something is wrong (look at example below). Whether or not a missing side handle is an issue depends very much on the model of drill and what your going to use it for. Functionally a breast drill (or a drill your going to use as a breast drill) should have a side handle, this basically includes most large hand drills (minus pillar/bench drills). For smaller drills it matters far less and many of the smallest models never had one to start with. In nearly all cases side handles are attached via a machine thread somewhere on the opposite side of the frame from the drive wheel. They are typically designed to be easy to remove for transport and to fit into difficult spaces, this is the reason so many go missing. 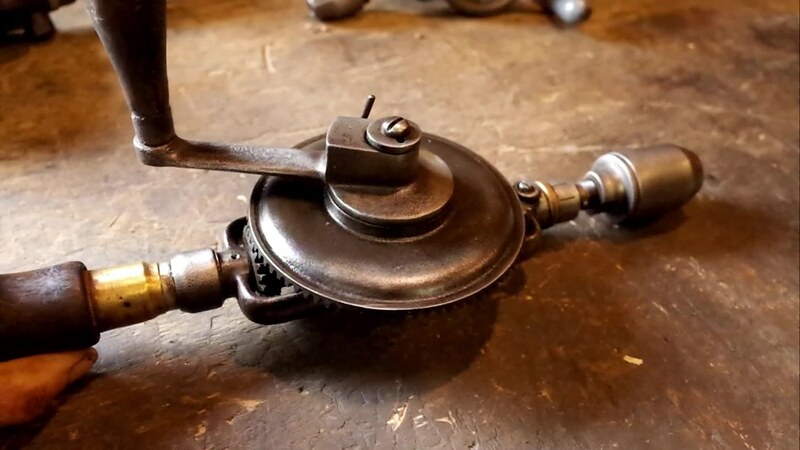 For collectors the drills are worth a lot more with there original parts including side handles, so if you want your investment to hold its value (only really an issue with expensive models) then this is worth thinking about. There are two major issues to look for here, worn teeth and missing teeth. 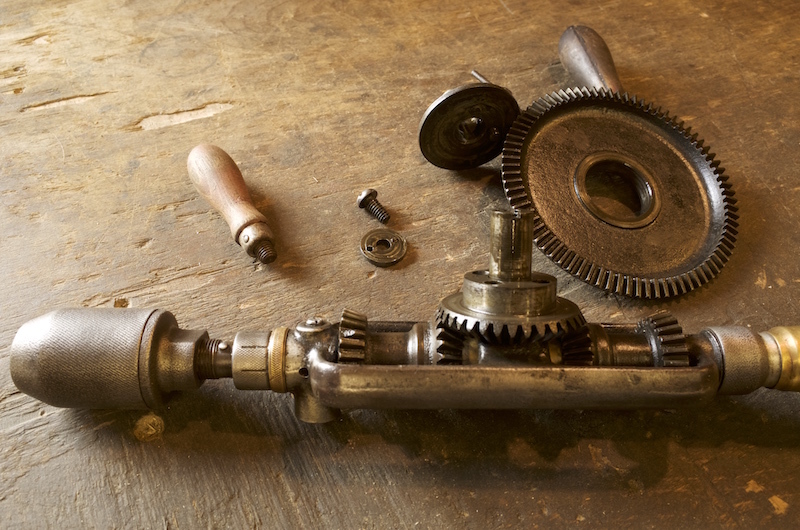 Worn Teeth: A drill with worn teeth will still work, but only at a shadow of its former self. Worn teeth are also a pretty good sign that the drill has been either used a lot or abused in its past, so worth steering clear of. 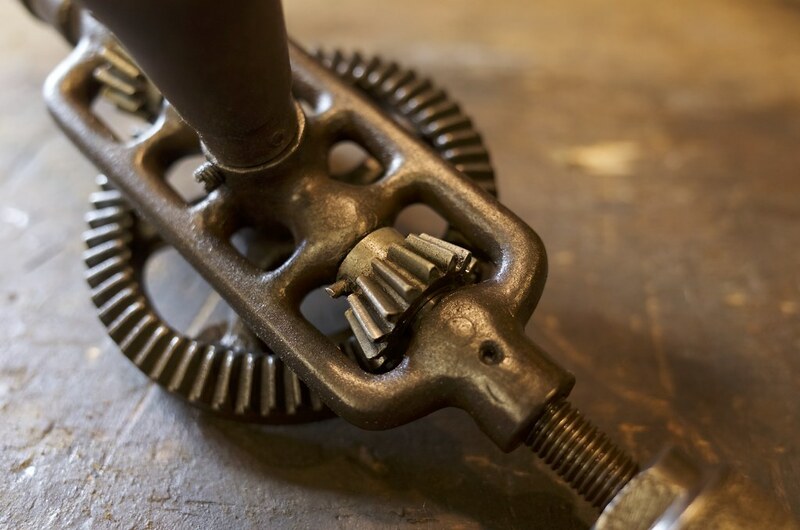 Worn teeth are hard to spot if you don’t know what un-worn teeth look like, so below are two examples from a drill of the same model that show the difference; nearly all gear drills with worn/un-worn teeth will look similar to the examples. 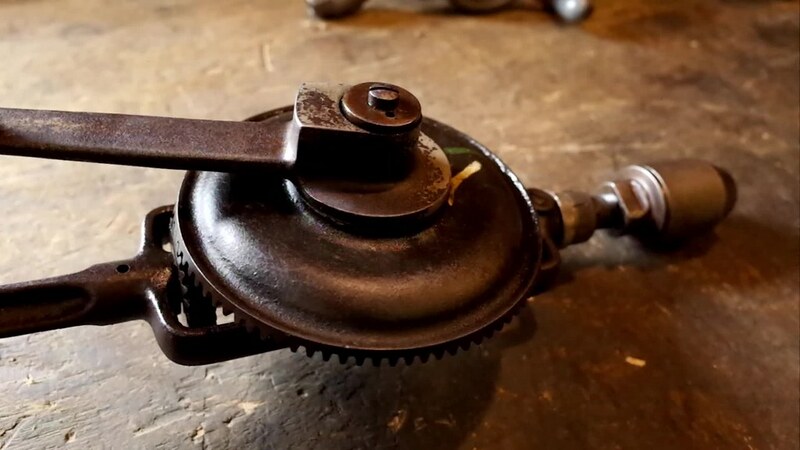 Missing Teeth: Missing gear teeth are generally easier to spot than worn ones, just give the handle a couple of turns and check all the gears carefully. Completely missing teeth (such as below) are a problem as the drill will “skip” over the space left, this is unpleasant for the user and will likely result in continuing damage to the other teeth. 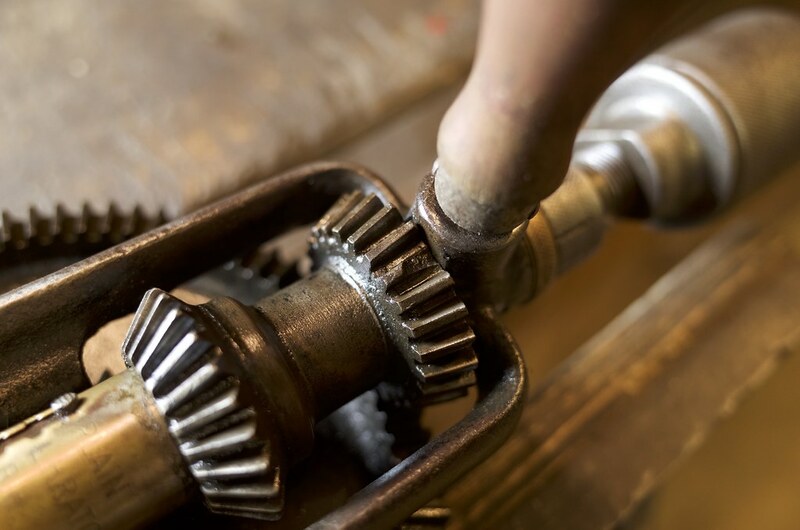 Partially missing or chipped teeth (such as below) are not an issue so long as there are not too many of them (too many probably means there is an issue with the metal on the gears). 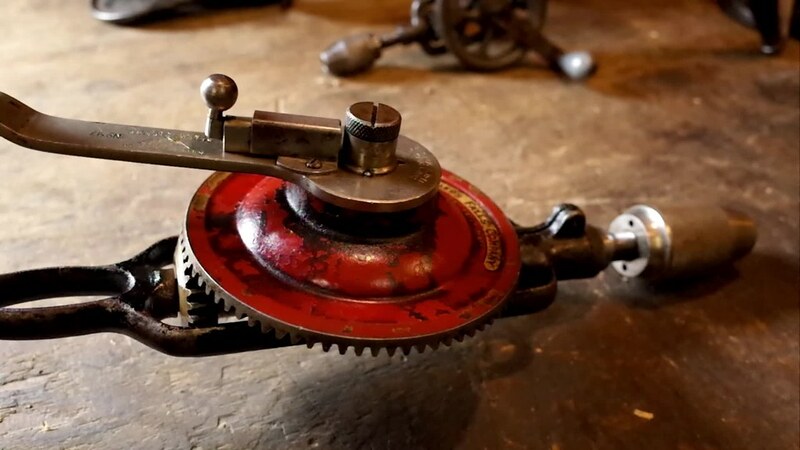 The North Brothers “Yankee” Drills are particular prone to losing teeth on all their gears, but its worth checking on all makes and models. This is a more subtle issue that is not always apparent from a simple turn of the handle, so its worth testing for specifically. 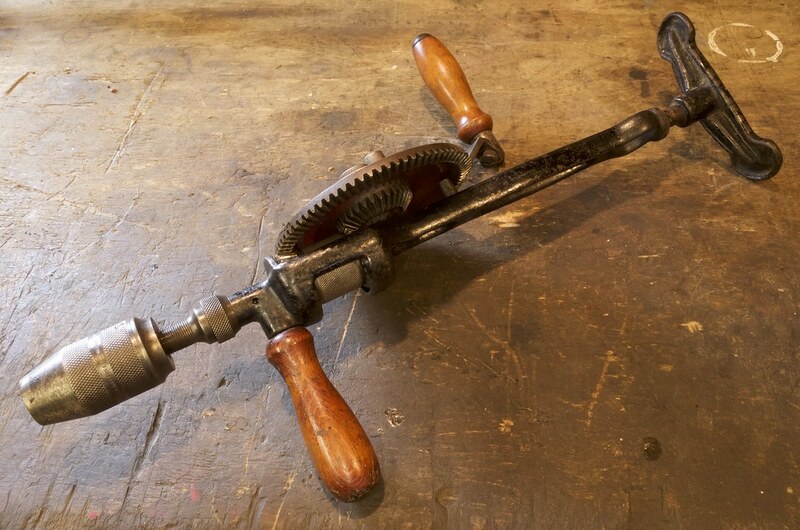 It commonly effects most models of hand drills in the main drive gear (one with the crank). This play can make an otherwise flawless drill run horribly roughly or jam when put under load (drilling). The videos below show example of the levels of play that are acceptable (or not).